May 24th, 2017 marks eight years since blogger and entrepreneur Tran Huynh Duy Thuc was arrested by the Vietnamese authorities. He is the founder of a large Internet provider in Vietnam and often blogged about economic and social conditions. He was arrested at first on charges involving theft of telephone wires, and then later under Article 79 of Vietnam’s Penal Code for “attempting to overthrow the government.” At his one-day trial on January 10, 2010, Thuc was sentenced to an unprecedented sixteen years in prison. Read his full profile, here. 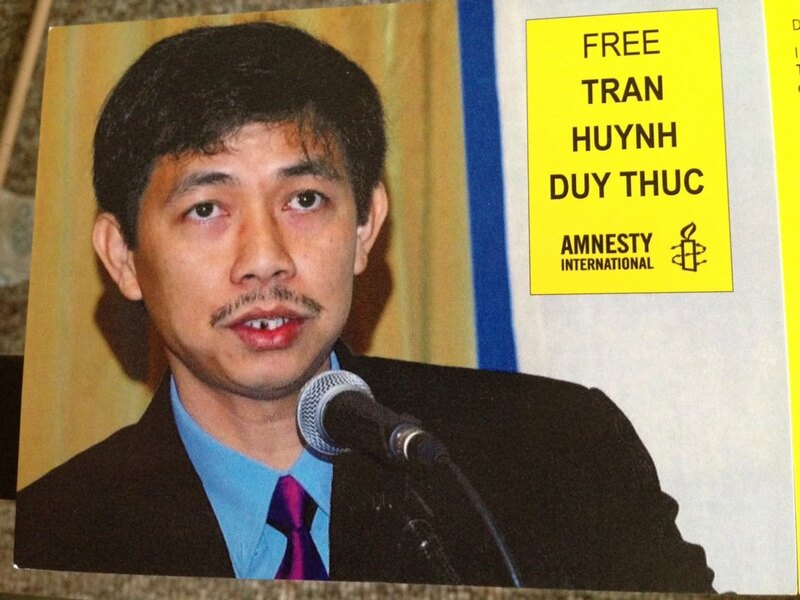 Throughout his imprisonment, Thuc has endured harsh treatment. He has often been targeted for standing up for the rights of other prisoners and has had communication with family limited by the authorities. Amnesty International released an Urgent Action regarding his prison treatment in August of 2016. In May of 2016, he was transferred to a prison farther away from his family. The reason for the transfer was unclear, and this distancing strategy has been used on other prisoners of conscience. Through it all, Thuc’s family has maintained his innocence and has continued to press for his release. He continues to inspire people in and outside of Vietnam with his ideas of peaceful political change, as evidenced by online petitions that began earlier this year. On the anniversary of his arrest last year, Thuc went on a hunger strike. On a recent visit to see Thuc, his family was upset by the conditions of his imprisonment. They were allowed to see him for only 60 minutes, through a thick glass screen, communicating only through a speaker phone. Their conversations were recorded and monitored by several people. According to the family’s note on Thuc’s Facebook page (in Vietnamese), he is in good health but his eyes suffer from the lack of adequate light inside the prison cell. He sometimes has natural light, but for approximately the past year, the authorities have not given him electricity during the day, making it hard to see on overcast days. His family has tried to send him battery-operated flashlights, letters, and items to read, but lots of these things have been rejected by the prison and not delivered to Thuc, oftentimes with no explanation. While activists are sometimes released from prison early in exchange for a life of exile, Thuc refuses to leave his country and has affirmed this several times to his family. Releases, while normally positive, when coupled with forced exile further silence activist voices and send a false message that Vietnam is complying with international requests for improved human rights. Thuc’s family has travelled and spoken out to campaign for the release of their son for many years. In 2013, Thuc’s father gave The 88 Project a series of interviews about Thuc, his work and beliefs, and his life in prison. Watch the first part, here. Then see the second and third interviews. The 88 Project also created a special video– “5844 Days in Prison“– in conjunction with Thuc’s family to commemorate his birthday in 2014. Many governments and civil society groups have called for the release of Thuc over these past eight years and have continued to spread the word about his activism and his brutal 16-year sentence. He is featured on the website of the Tom Lantos Human Rights Commission of the US Congress. 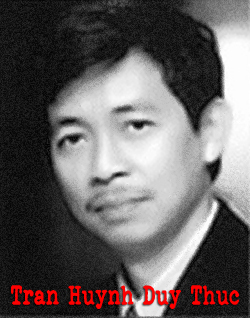 Amnesty International released a letter from several Directors ahead of the May 24th arrest anniversary asking the Vietnamese government to treat Thuc with respect in prison and to release him altogether. The 88 Project echoes this appeal, firmly believing that Thuc should be released unconditionally and be allowed to remain in Vietnam upon his release. The eight years since Thuc’s arrest is the equivalent of 96 months, one year longer than the time length of World War II and enough time to earn two Bachelor’s degrees on a typical academic track in the United States. If he serves his full sentence, he faces another eight years. We stand by you, Thuc. You are not, and will not be, forgotten.